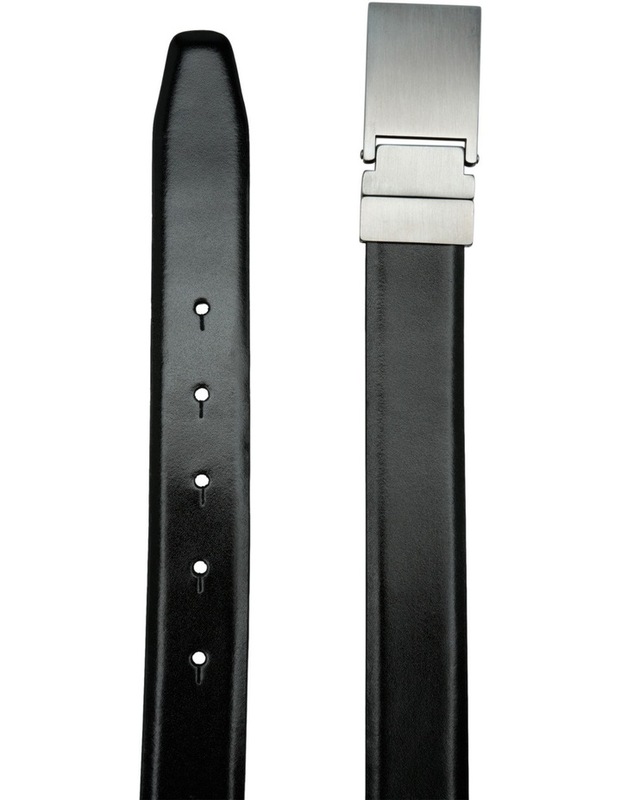 The VAN HEUSEN Reversible Plate Buckle Belt in black and brown has a place in every man's wardrobe. 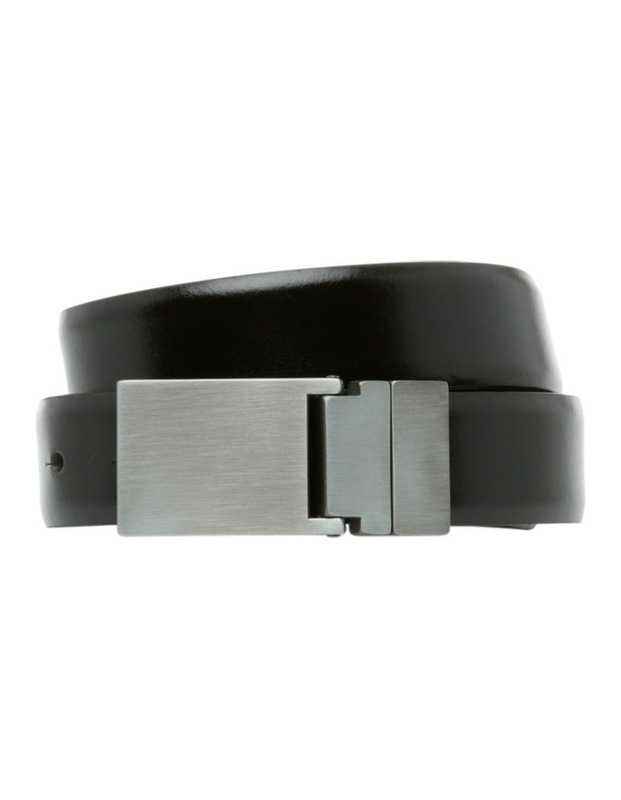 Crafted from genuine leather and finished with a sleek, silver buckle, this reversible belt exudes modern sophistication. 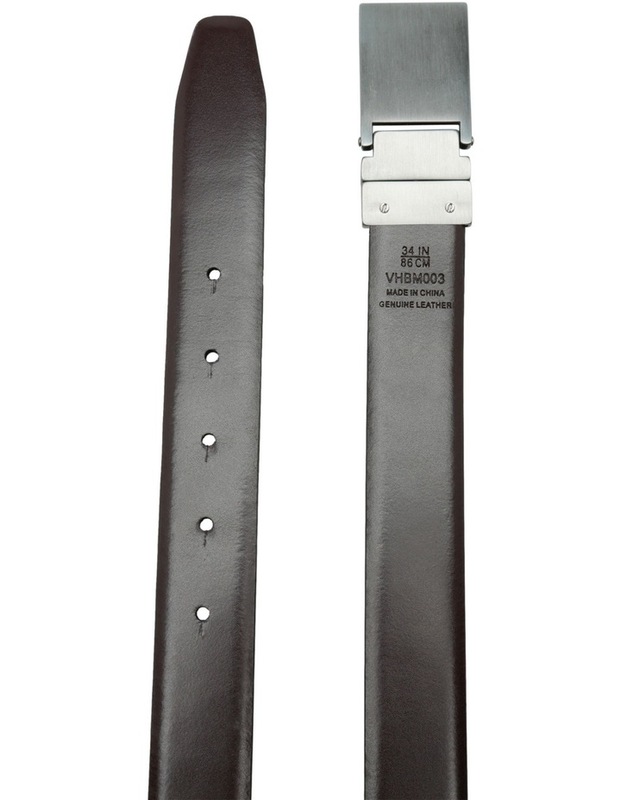 Thread it through the loops of your trousers for a polished finish.